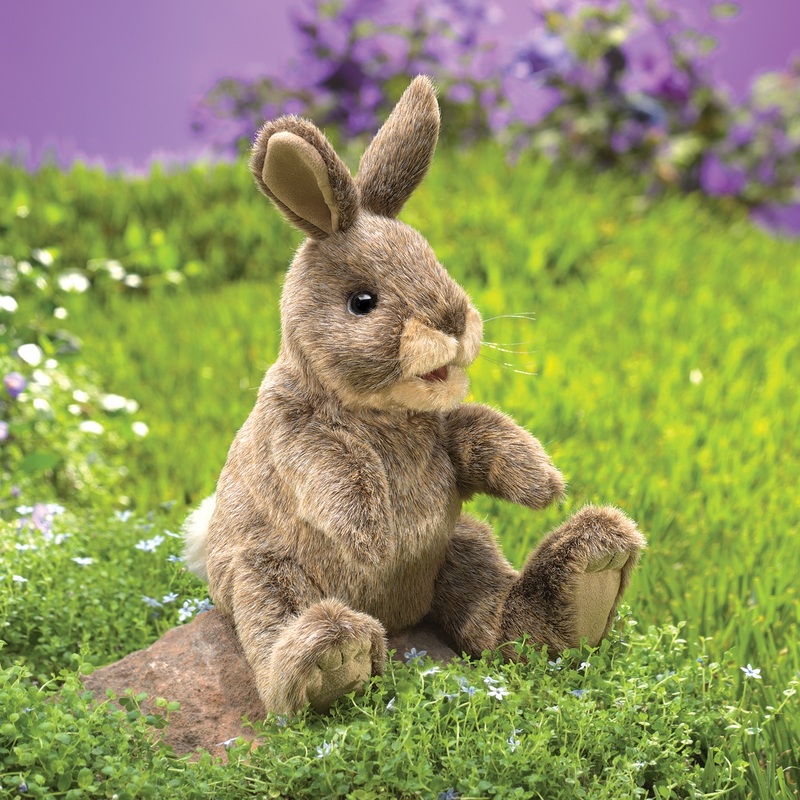 The Folkmanis Small Cottontail Rabbit puppet is due December 2018. 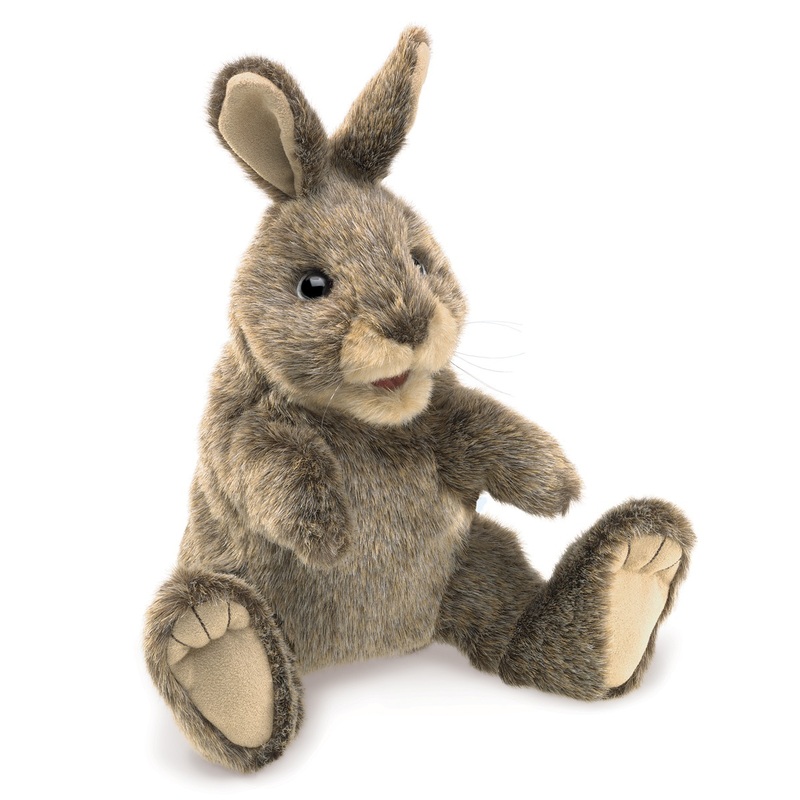 The small rabbit puppet is posed in a sitting position. 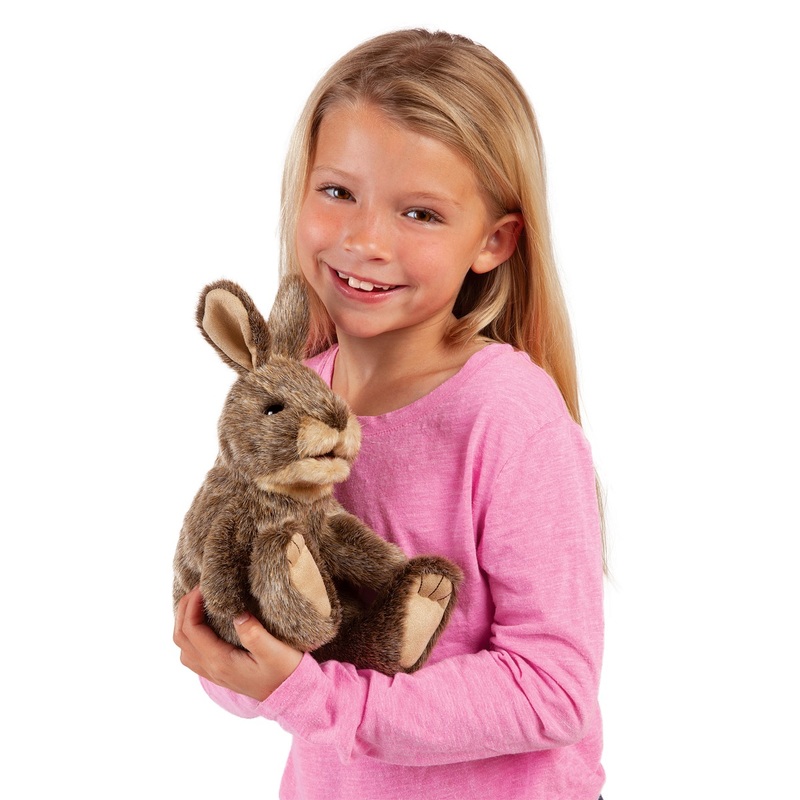 It has a movable mouth and legs. 8 inches long, 6 inches wide and 10 inches tall (20.3 x 15.2 x 25.2 cm). Contact us if you need more than the amount of available inventory. Not yet released.